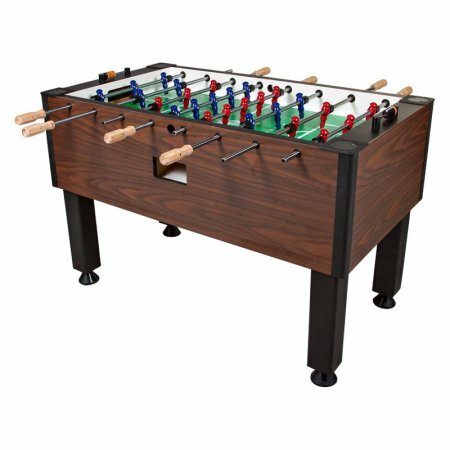 Big D Dynamo Foosball Table * | Fun! The Dynamo Big D 56 in. 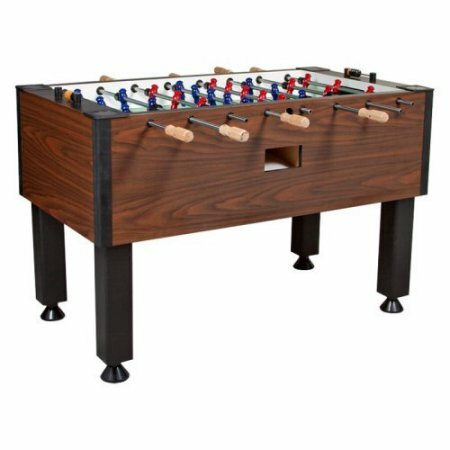 Foosball Table represents the return of Dynamo to the world of home foosball. 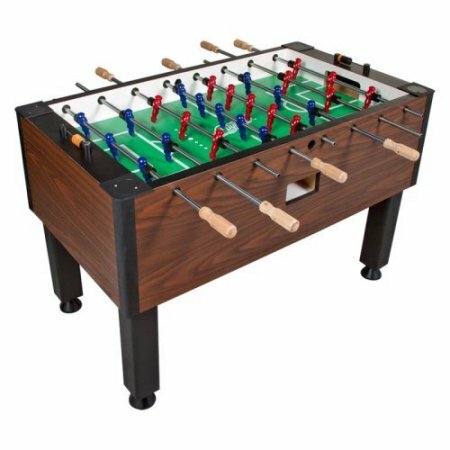 This heavy-duty table is substantial and stable enough to withstand all the fast-paced play you can spin out. It’s Gunstock Savoy laminate finish looks great in almost any game room, and the commercial-grade parts are built to feel good and last forever. You’ll get a .75-inch laminate playfield in a 1.5-inch-thick cabinet, outfitted with leg levelers, solid wood handles, and classic red and blue Dynamo men. When you’re ready for a foosball table, go Big D.